Dr. David W Law, DO is a Doctor primarily located in Trenton, MI, with another office in Brownstown Twp, MI. He has 43 years of experience. His specialties include Urology. He speaks English. The overall average patient rating of Dr. David W Law is Good. Dr. David W Law has been rated by 39 patients. From those 39 patients 8 of those left a comment along with their rating. The overall rating for Dr. David W Law is 3.4 of 5.0 stars. Not making an appt now! I'm in need of a reputable Urologist - was hopeful this doc would be the one being so close to home. After reading these reviews - I will pass!! I sat in the room waiting for Dr.Law for a full 2 hours, after being stir crazy for so long I had to leave. Wait time absolutely horrible, be prepared to wait everytime you come to wait an hour to two hours past you appointment time..I understand sometimes doctors can run behind but everytime -this is ridiculous. Staff can be very rude as well..Sad. Dr. Law performed testical surgery on and changed the the tact when conditions required, due to his insight my healing is much easier and less painful. Thanks Doc. Take a minute to learn about Dr. David W Law, DO - Urology in Trenton, MI, in this video. Dr. David W Law is similar to the following 4 Doctors near Trenton, MI. 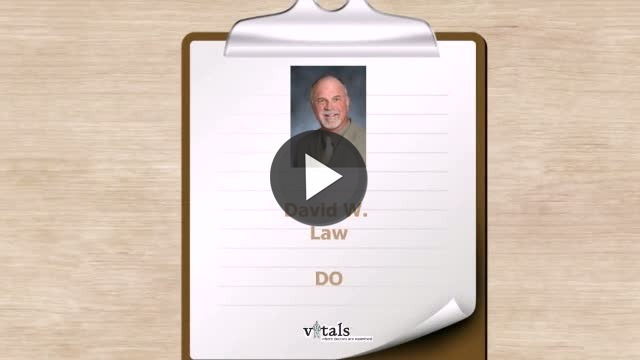 Have you had a recent visit with Dr. David W Law? Select a star to let us know how it was.